Alex Filipovic, our service tech, was fantastic. He is articulate, a nice guy and was careful to ensure a quality job. Our repair wasn't easy, the track got knocked out of alignment and some brackets bent due to a collision with the door. It took some work but he got it back up keeping costs down. Great work!! Five stars for Alex who arrived on time, assessed, and corrected the problem swiftly. Courteous and competent. The door now works like it did when new. Very fast response on a Saturday! Tech was extremely knowledgeable and helpful in explaining replacement options, left a detailed reasonable, estimate. Would call them again in an instant! Very satisfied with how my garage repair was done. The technician (Alex) was very prompt and so efficient! He could have told me I needed a new motor, but he is very honest enough to say that all I need to replace is the trolley.Thank you Alex!! I'm a big fan of this company. They came and did a clean and professional job and when they needed to come back later to fix something, there were no hassles at all, totally professional. And nice people too. The technician did a good job. Great Job! My garage door springs were installed on February 2017 by another technician from this company. Technician Stanley looked over the previous work completed and took care of the problem. Great warranty, great response, great tech. Will surely recommend you folks to whomever it is I will make contact with in the future regarding garage door and garage door opener. Many thanks for taking care of this matter. Really pleased with both the technicians that finally got my garage door to open and close properly. They took the time necessary to do it right. Would definitely use their service again. 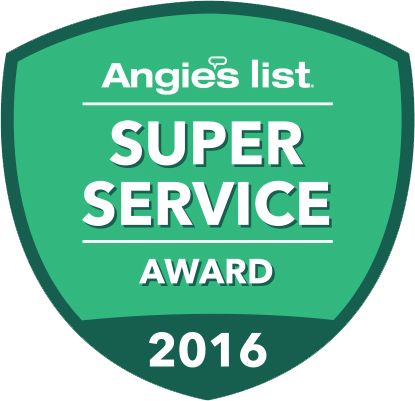 The technicians, Tony & Tom, were personable & knowledgeable. Thank you for a job done well. Fast service and reasonable pricing. I would definitely recommend them to others. Armando is the best. He was very helpful, efficient, and polite. My garage door works again!! 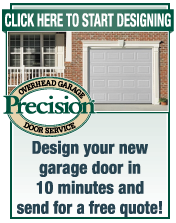 I recommend Precision to anyone who needs help with their garage door. Great job Armando. I always choose carefully whether it's what vitamins to buy or which shoe company to support our whether our not the owner of a restaurant treats their employees right... I actually do research stuff like that. precision door got good reviews, & I noticed that their website said something to the effect of "don't just rush out & replace your existing door. let us inspect it & see if it can be repaired." (I'm paraphrasing, but that's the gist of it.) that kind of thing really resonates with me. that's integrity. when mark the technician showed up, he was professional, but cool & personable. he was patient & informative... truly helpful. he found that he could indeed fix my garage door without replacing much of anything. once he got the parts, he had my door opening & closing itself in no time. I highly recommend these folks. Jaysen, was amazing. I thought that our door was broken but he fixed our jammed door, replaced the springs and had it running better than before in just a couple of hours. He was super pleasant and professional. Great service- professional & friendly technicians. I have uses twice so far and will return if needed. Five stars!! 5 Stars! Website was easy to understand: "We fix garage doors." And you did. Dimitru was quick, efficient, and friendly. And he didn't try to sell us stuff we didn't need. We would definitely recommend your service to anyone. Thank you for making this an easy fix for us. On time, polite, efficient. 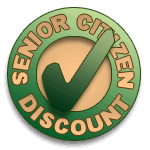 I'm very happy with their service and would definitely use them again. Precision's service technician "Tony", was prompt, professional, and focused on providing excellent customer, which he did. That's 5 Stars in my book. I have my garage door replaced, my first call will be to Precision Garage Door Service. Technician Anthony Diaz was excellent. Answered any questions and concerns we had and was efficient and courteous. Took the extra step to see that we were satisfied. Anthony Diaz was very professional and explained what happened to our garage door and what the options were. The best part is having the photos and names of the technician on the website. It was great to have the garage door working as I had phoned two other outfits and they were no show and one was very late and wanted payment. I would highly recommend Precision Door Service especially Anthony Diaz as they carry what's needed on their truck. I am so happy that we found Precision. Any time we have the least little problem, Precision sends someone out right away and fixed it in minutes! I am currently waiting THREE WEEKS for an appointment with an exterminator. I recommend this company to anyone and everyone. They are my company for life! I'm not sure if i wrote down the correct product. We were very happy with our technician- Daniel- and the wprk he performed. He got to our house in the time alloted by your company. There are a LOT of companies where that doesn't happe, so a big plus right there! he was up front and honest about what we needs. He gave us several options and my husband was very pleased with the finished work. Precision Door Service was amazing. We have lived in our house for 17 years and have had many different companies to service our doors---Precision is the best and will be our company for years to come. Jaime was amazing and was very persistent in getting the job done right. Great experience working with him!